Light Swing is an interactive installation which combines play and movement.The rhythm of the swinging movement produces energy to illuminate the Light Swing. 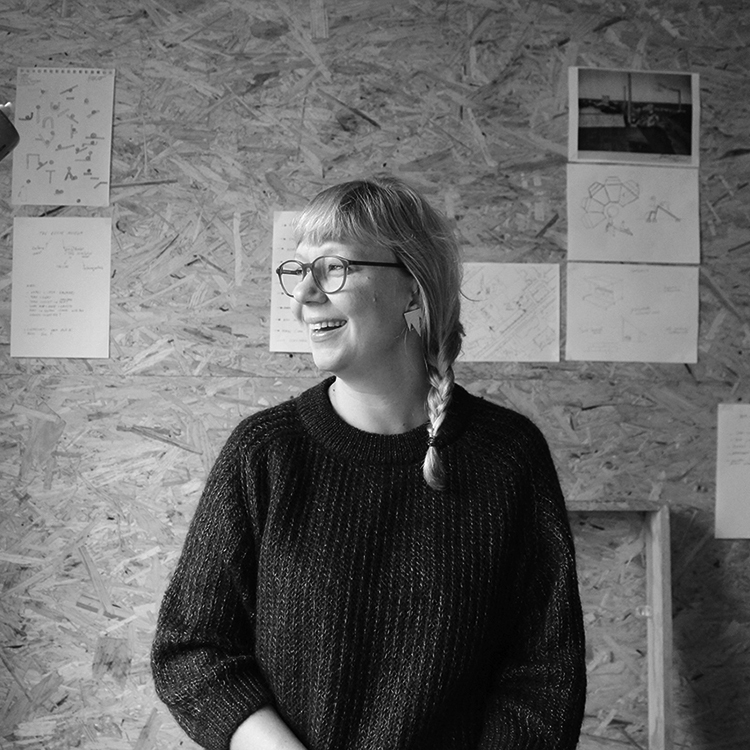 The installation is a prototype and belongs to the WINTER IN HEL-concept, which is developed by Päivi Raivio & Daniel Bumann to enliven public places during cold and dark seasons. Many placemaking and public art projects are realised during warm seasons and there is need for new ideas and visions for steering away from the excuse of “bad weather causes boring public places”. Light is seen as one of the main elements for enlivening public spaces during the darker seasons. Many of the current solutions are visual, static and they also consume energy. 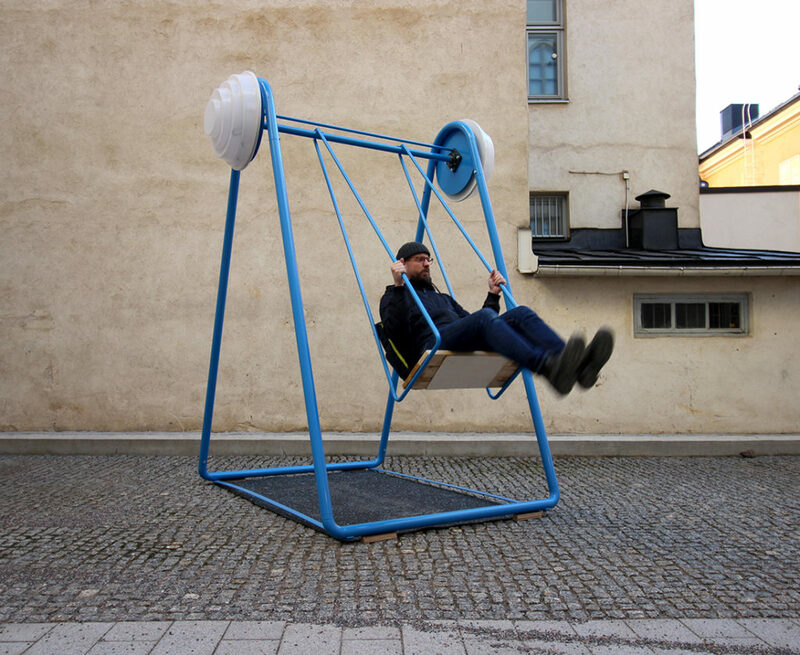 Light Swing tackles this by combining active participation, self-powering mechanism, play and light. 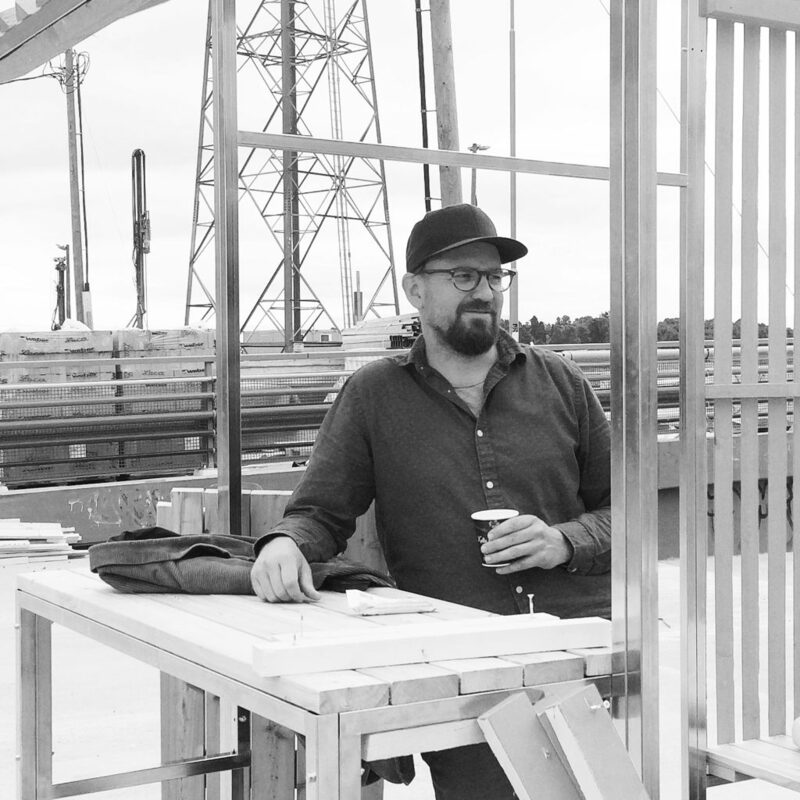 RaivioBumann’s artistic work is supported by Kone Foundation. Thank you Steve Maher assisting with the mechanical solutions. Winter in HEL -logo is designed by Matthias Waser. Try the swing and turn the lights on! The swing is for public use on Helsinki City Museum’s yard until 16th of April.